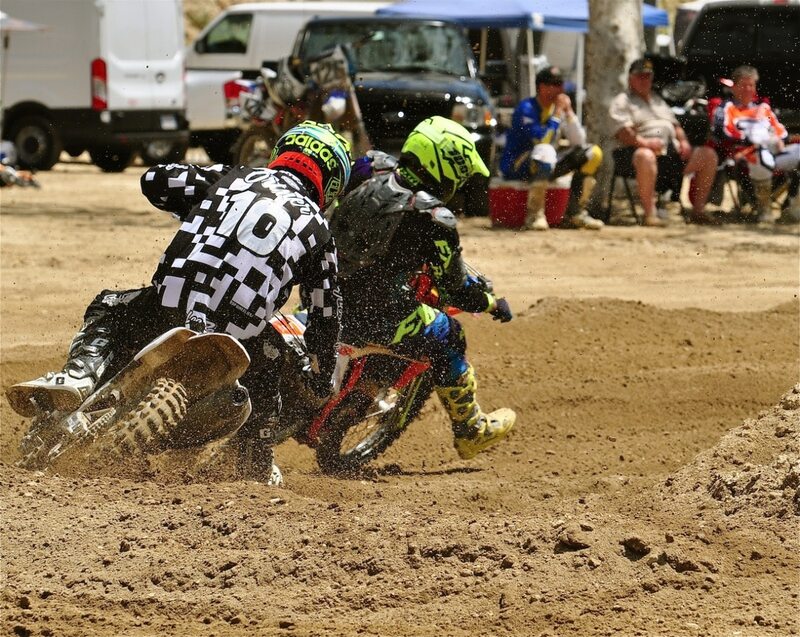 Strange things happen at Glen Helen all the time. 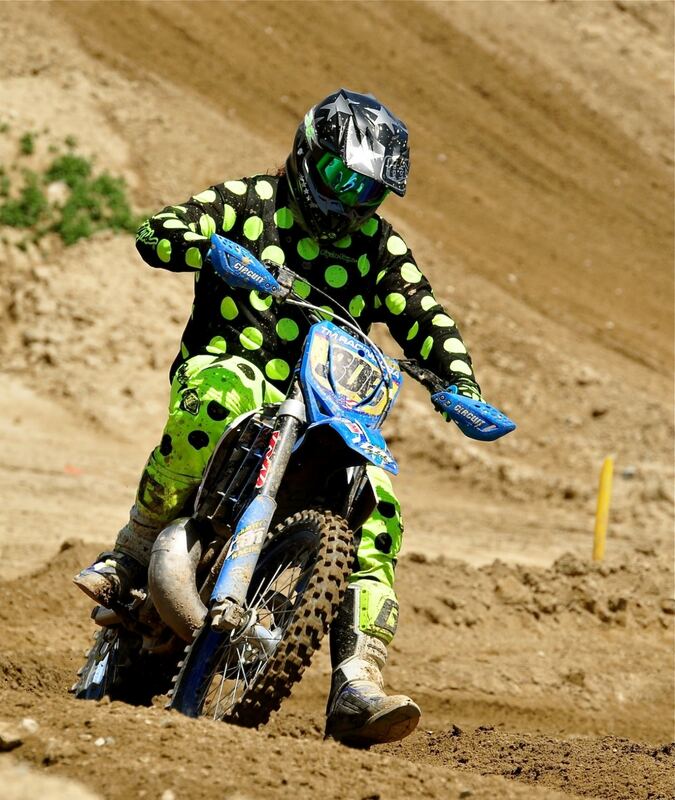 With famous moto-photographer Debbi Tamietti out of action with bronchitis, every other photographer filled in to help. Regulars Rich Stuelke and Mark Chilson shot extra photos for this race report. Jon Ortner got a new camera that he wanted to try out anyway. 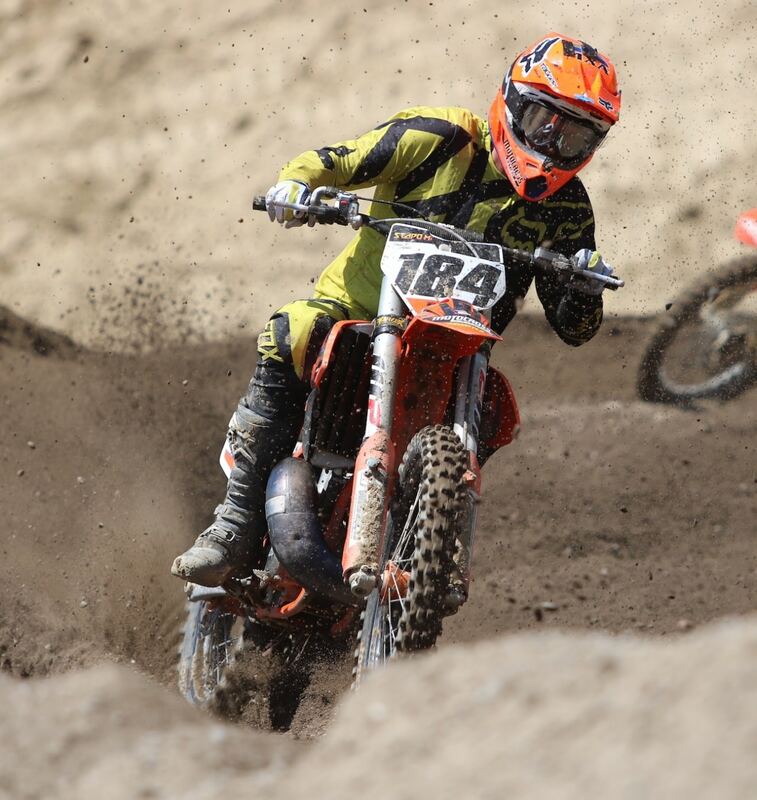 Dillon Ziergler is out with an injury and Debbi lent him her camera to shoot some pics. And when Kenny Maddux heard that Debbi was sick, he brought his son Rommel out to shoot some photos—even though Kenny was not racing because of broken leg. 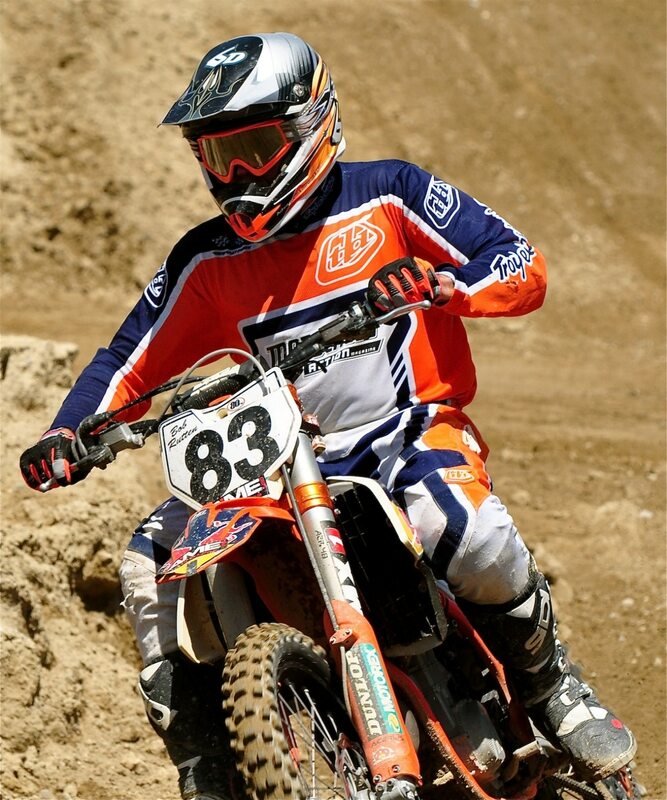 We thank them because with Debbi out of action and Dan Alamangos at the Las Vegas Supercross, we might have had to ask Randy Skinner to borrow his mom’s Brownie box camera. 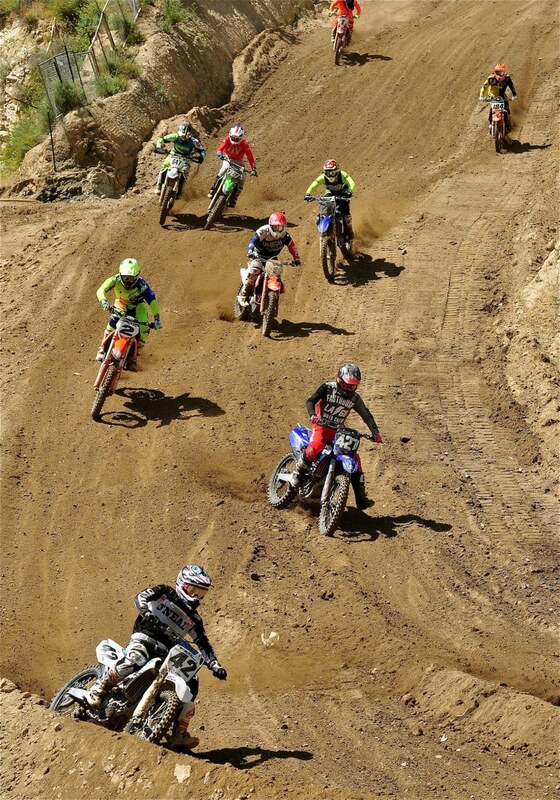 This weekend the popular REM races were moved from their racetrack, situated on the plateau above the Glen Helen National track, to the big track below. Why? To make room for a big Mud Run that wanted to use all of the REM track. 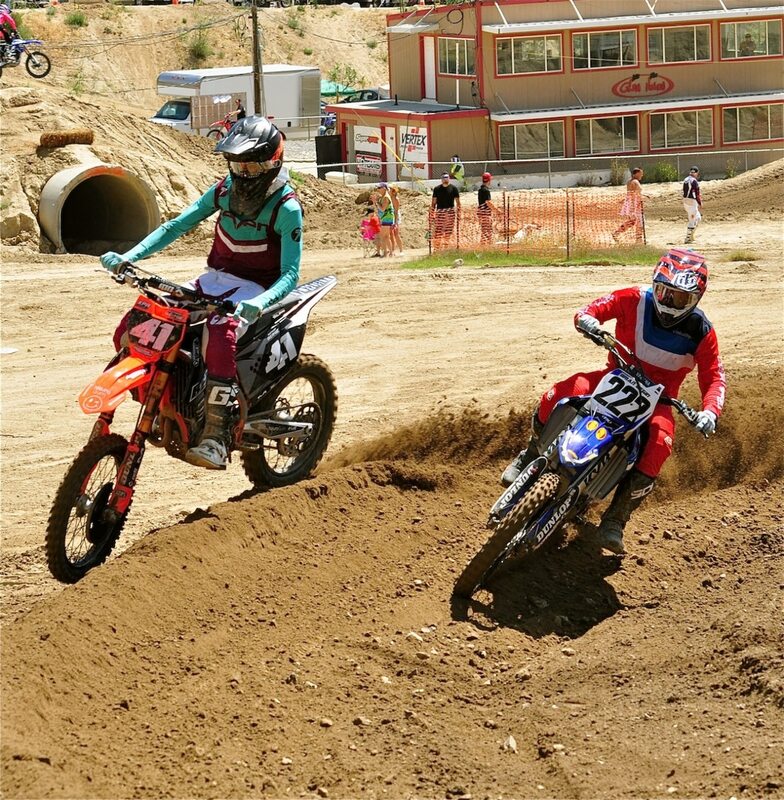 No big deal, REM holds several races on the National track every year, most notably the annual Octobercross race the weekend before the World Vet Championship. 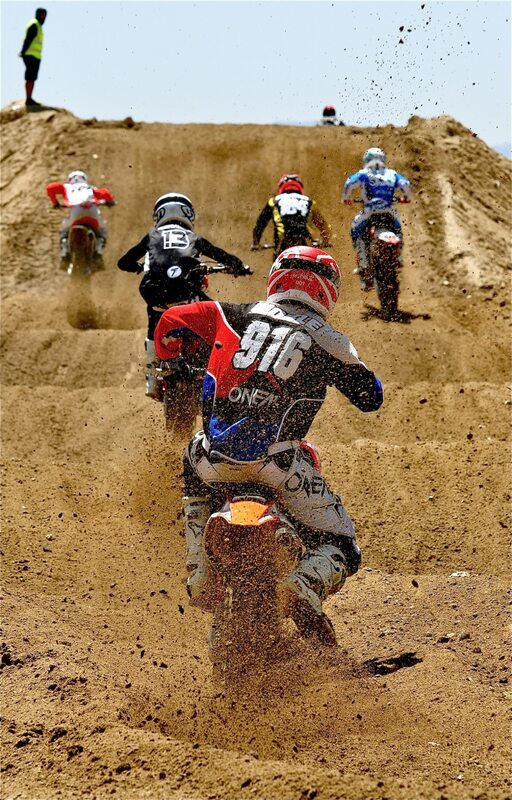 The Octobercross is considered a warm-up for the World Vet Championship because it is the first time that any rider gets to race on what will be the race track a week later. 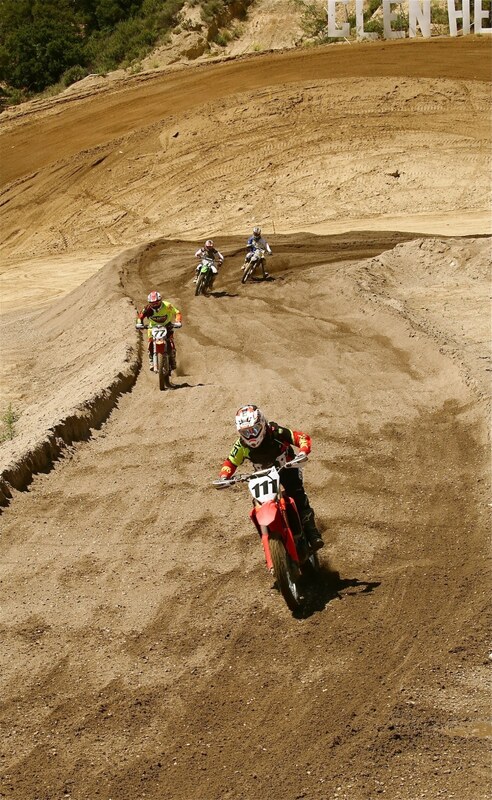 This week’s track was a warm-up for the upcoming AMA National on May 26. 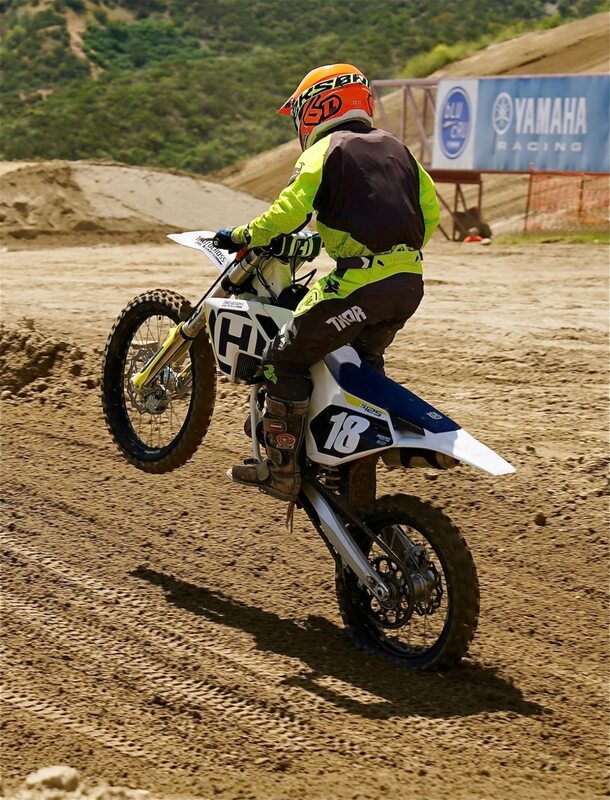 Jody Weisel, who designs the World Vet, World Two-Stroke and AMA 250/450 National track, likes to test new track designs before putting them into the races. 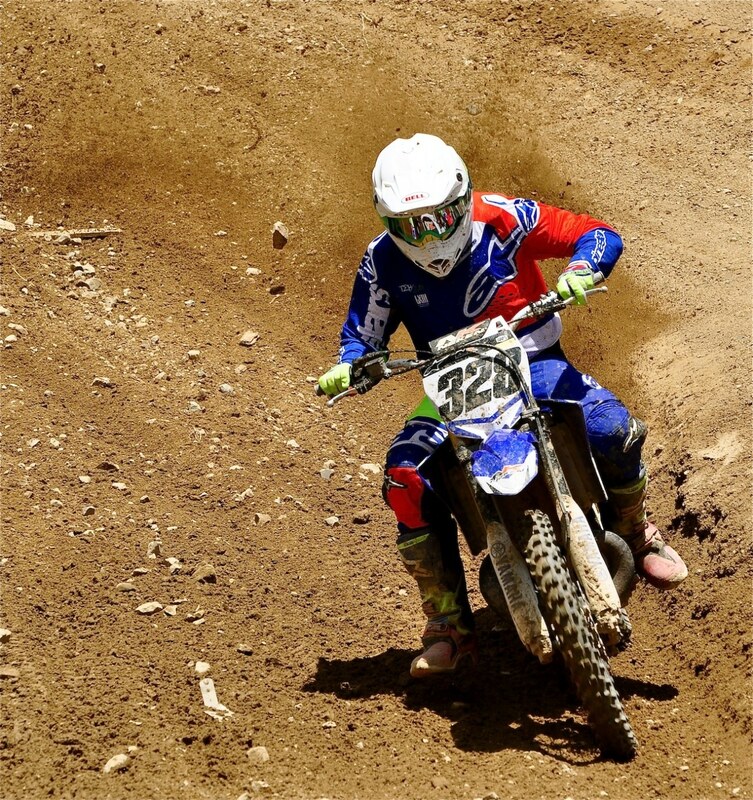 Sometimes he does it with a small hand-picked group of riders, typically Josh Grant, Weston Peick and one or two AMA privateers, but he prefers to hold a race to get a better view of what works and what doesn’t. 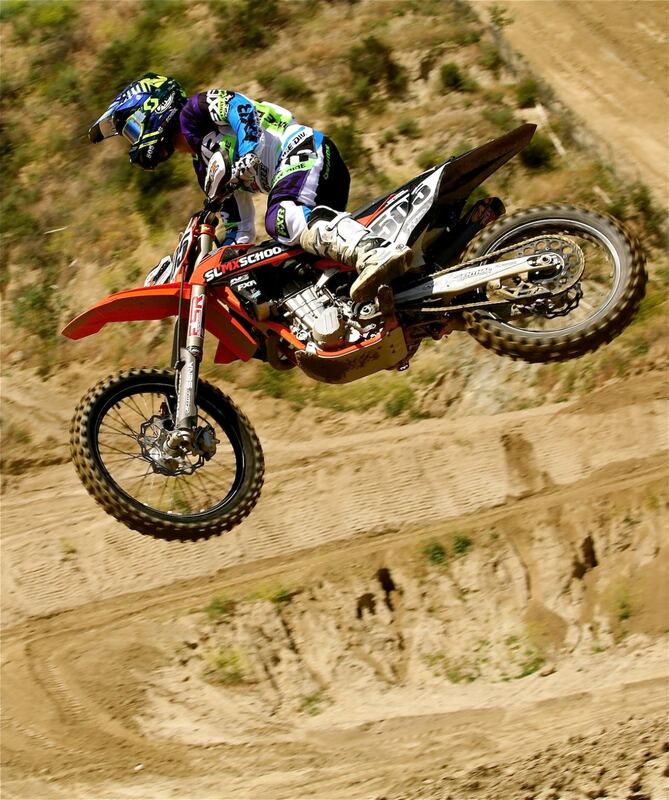 This week, Jody and dirt maestro Karl Scanlon put the footprint of the May 26 AMA National track on the ground. The “footprint” doesn’t mean the big jumps or National touches, just the basic track design. 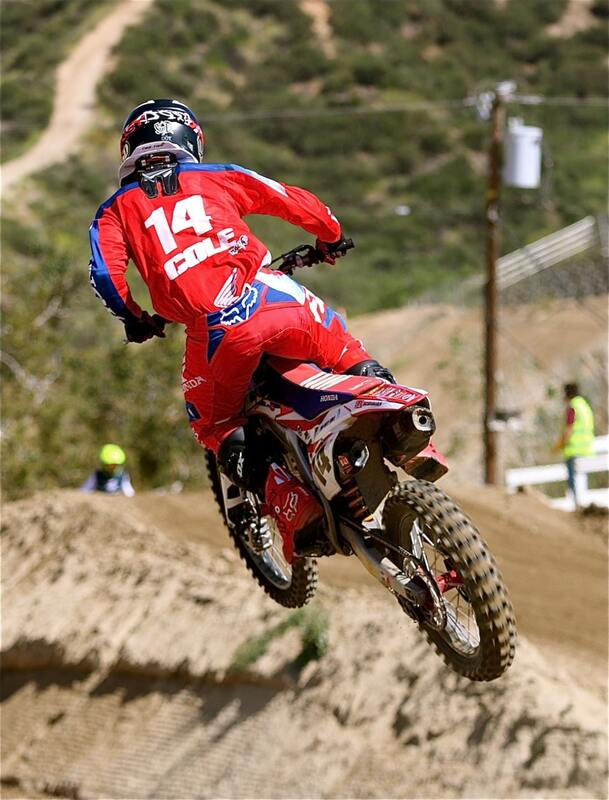 So, with REM coming down from their hillside home to the National track, their riders got to be the first to race on what will be the footprint of the AMA National track. 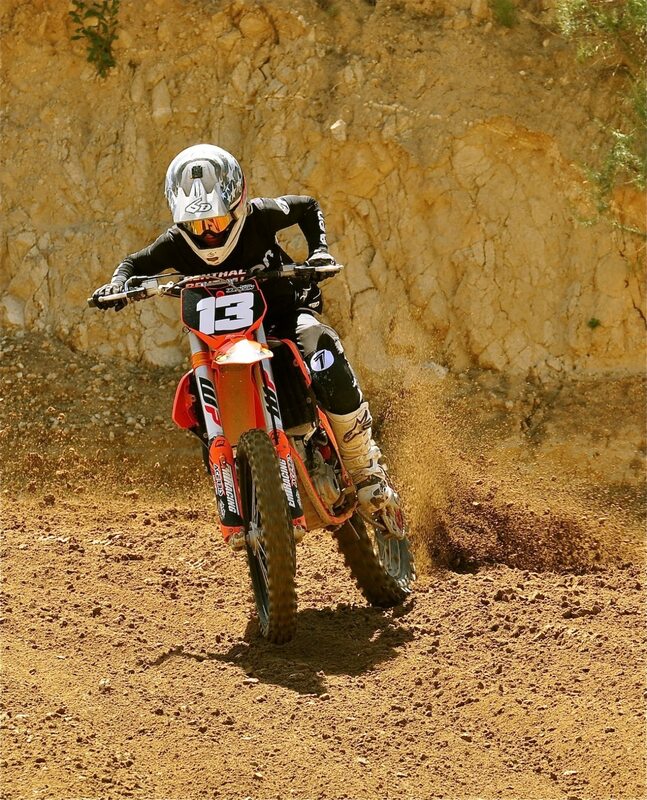 It is an imposing track and the layout is very difficult for lots of amateur riders—what with the massive hills, and especially the fast and long downhills. 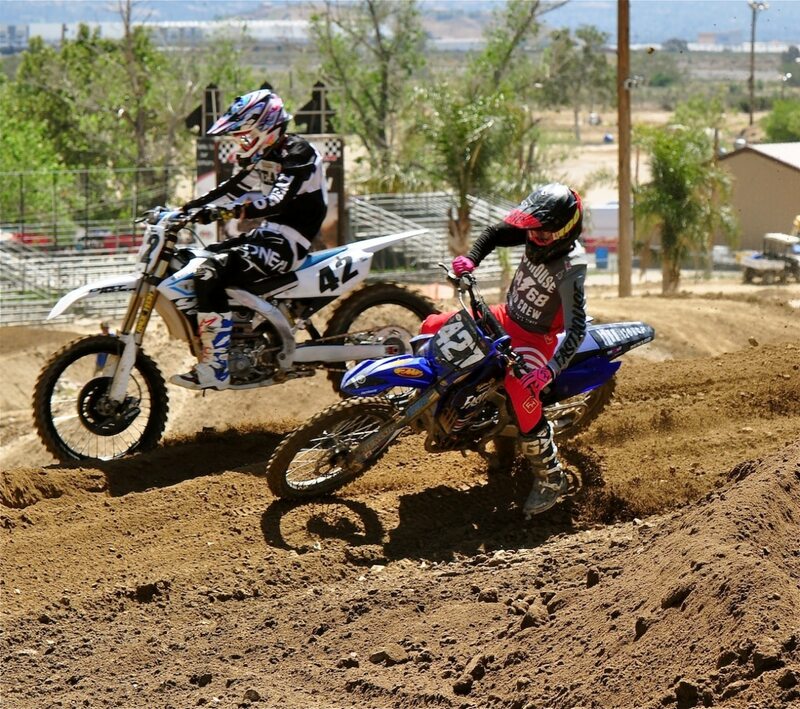 But, the jumps are untouched from the weekly local races and the dirt is super prepped (largely because the new dirt has been added—and it rained at Glen Helen earlier in the week). 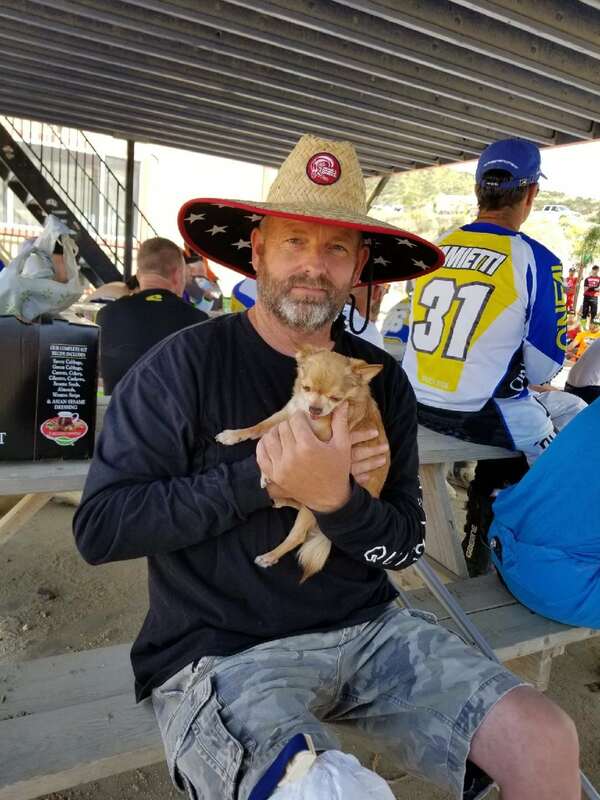 But, for a local racer it is cool to be the first to race on the National track, even if it just the footprint—but coolness doesn’t extend to every rider. Many struggle on the big track and for everyone who loves the National track there is someone who hates it. Luckily for them, REM will not be back on the National track until October 27—and the World Vet track design is always much more Vet friendly than the National layout. 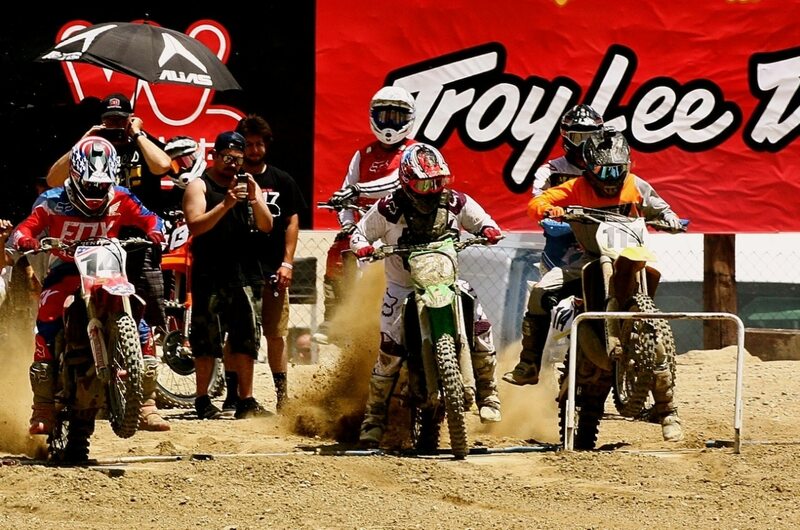 The racing was intense, as riders traded sections of the track where they were better than the other guys—and, of course, sections where they were worse. 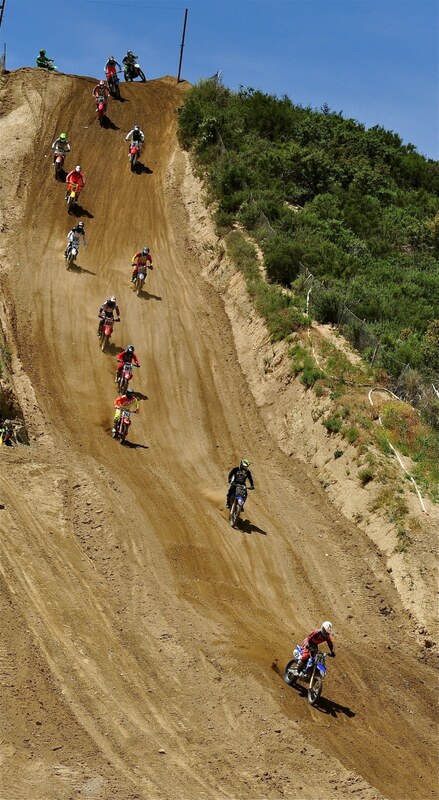 The most popular place to pass was on the long downhill, which REM re-graded twice during the race day to help smooth it out. It was amazing to see the riders fan out across the width of the 22-story downhill looking for the perfect line—not only the smoothest one, but the one that allowed them to brake later for the tight turn at the bottom. The big winners of the weekend weren’t all that different than on their ancestoral REM track, but with a lot more room to roam they could afford to take their time. 450 Pro: Sean Lipanovich went an easy 1-1 in front of Matt Hubert (2-2), Cody Johnston (3-3), Brent Rouse (5-4) and Garrick Noble (4-5). 250 Pro: Gage Scheher’s 2-1 took the 250 Pro victory over Tyler Rosa’s 1-2 with Deegan Von Lossberg third with a 4-3 over Swede Kristoffer Palm (3-5) and Mason Wharten (5-4). 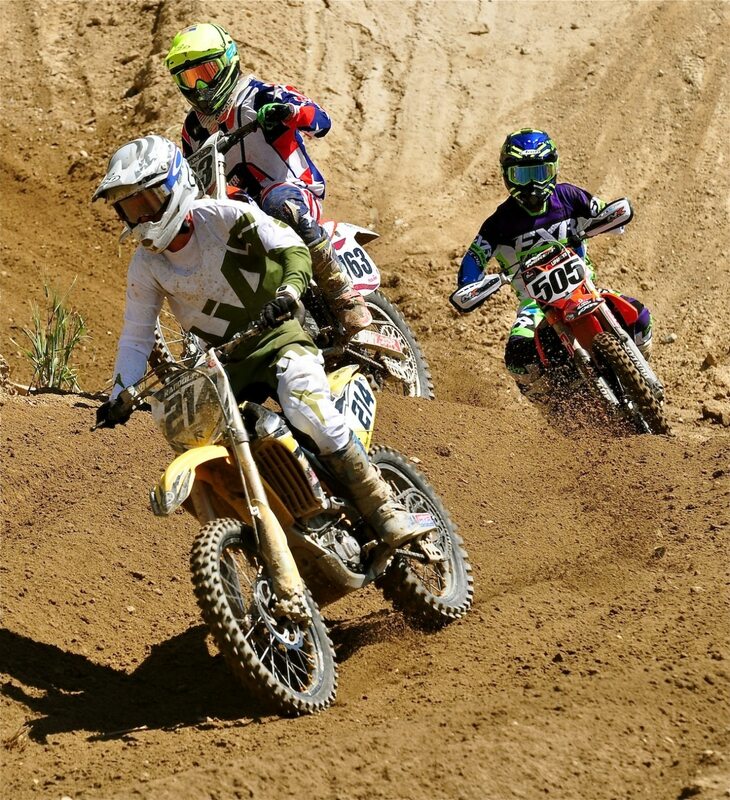 450 Intermediate: Cole Tompkins, back from months of recovery, came back strong with a 1-1 over Ty Cullins (3-2), Brian Begin (2-4), John Roggero (5-3) and Zack Randolph (4-5). 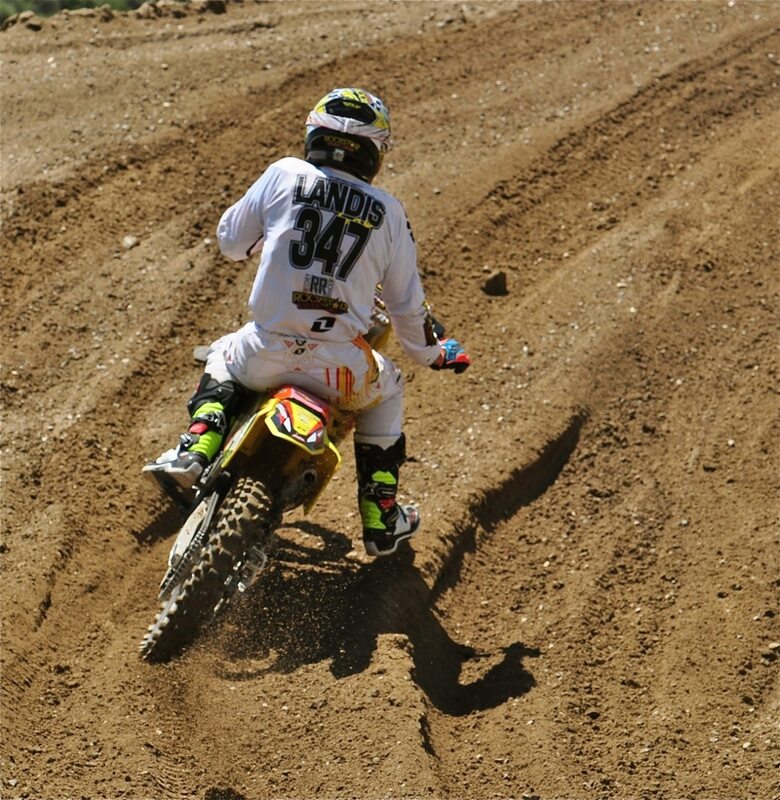 Over-40 Expert; James Lavender went 1-1 with Dutch rider Ralf Schmidt on his tail for the whole length of the second moto. Ralf’s 3-2 was good enough to hold off Robert Kuhry’s 2-3 for second. Over-50 Expert: What a weird race. 6D’s Robert Reisinger won the first moto in front of last week’s winner Chris Radzinski, ESR Suspensions’ Ron Shuler, Joe Sutter and John Begin. 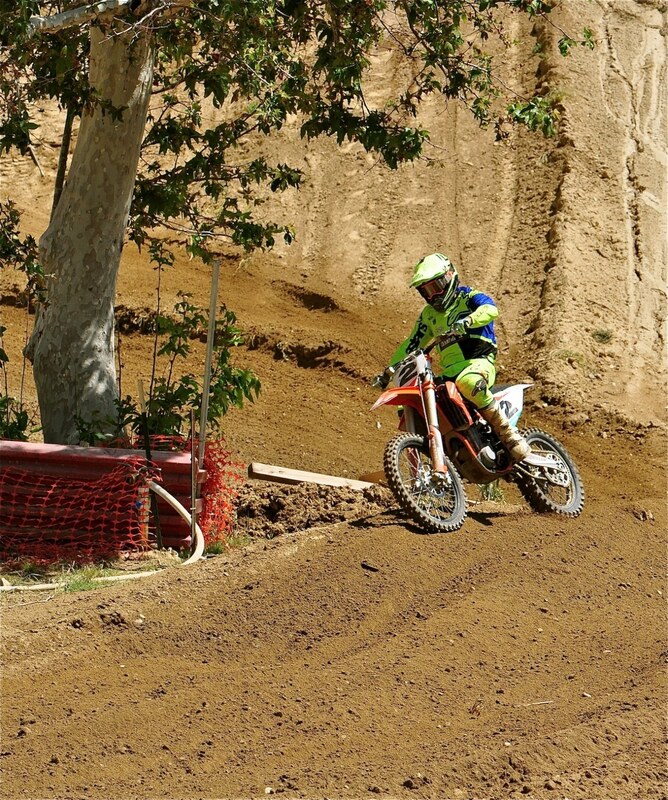 Then, in the second moto, Pasha Afshar took the win, but he had suffered issues with his rear brake in the first moto and was scored as a 7th. His 7-1 left him out of the running for the win. Radzinski led Robert Reisinger for almost the whole second moto, which would have been good enough for the overall, but somewhere on the last lap Reisinger ended up in front of Radzinski. Robert Reisinger’s 1-2 beat Radzninski’s 2-3, while Pasha’s 7-1 nipped Joe Sutter’s 4-4 for third. Over-50 Intermediate: The biggest class of the day was the Over-50 Intermediates, just edging out the Over-50 Novices. There was no way that Luc Deley looked like he was going to win anything after poor starts on his Husqvarna TC125 (with a 150cc top-end kit). But, the little bike was easier to handle on the rough straights and could be hauled to a stop at the bottom of the downhill much better than the heavier four-strokes. 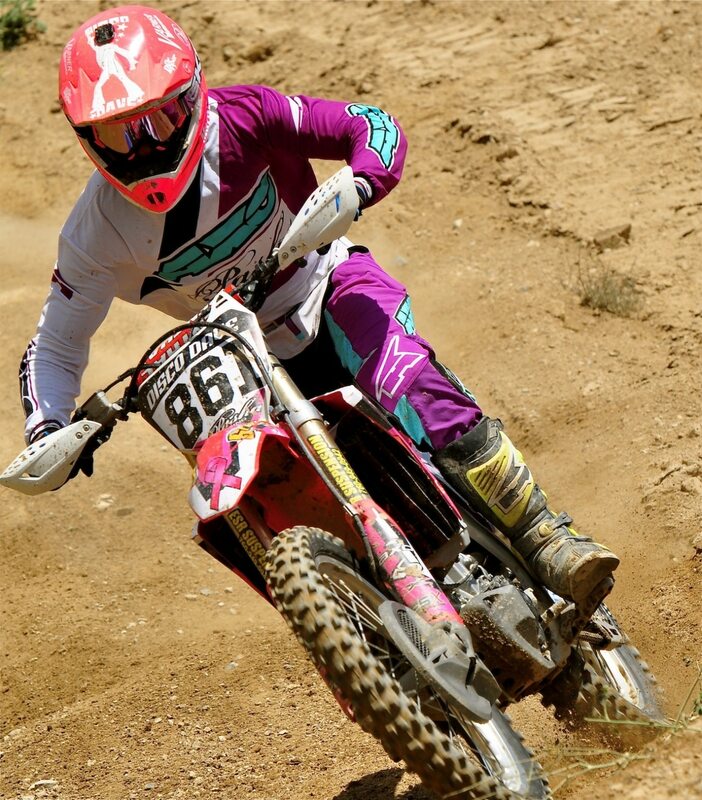 Deley went 1-1 to take the win, even though Johnny Benskin looked faster for most of both motos, but he couldn’t keep the two-stroke behind him. Benskin’s 2-2, Robbie Carpenter’s 4-4, Eddie Jaramillo’s 8-3 and Gary Sewell’s 6-5 rounded out the top five. All of these guys are former winners of this class (as are 7th place Lonnie Pashcal, 8th place Robert Pocius and Arizona’s Scott Boek in 9th place). Vet Novice class: The top three in the Over-30 Vet Novice class were refugees from older age groups (which is legal under Vet rules—in that a rider can drop one skill division for every ten years of age. Thus, an Over-40 Intermediate can race the Over-30 Novices). 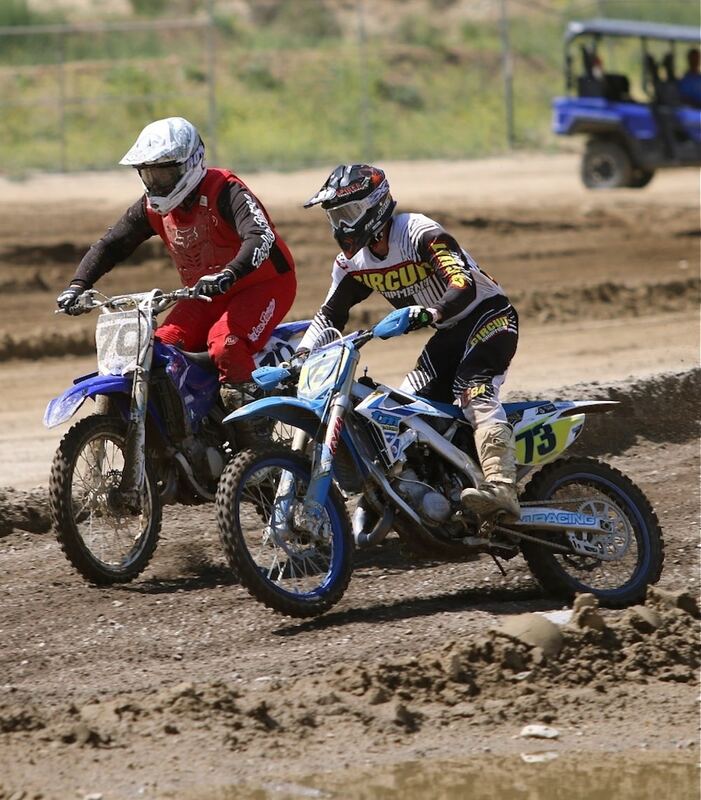 Scott Lindley, who won the Over-40 Intermediates, dropped down and won the Over-30 Novices. 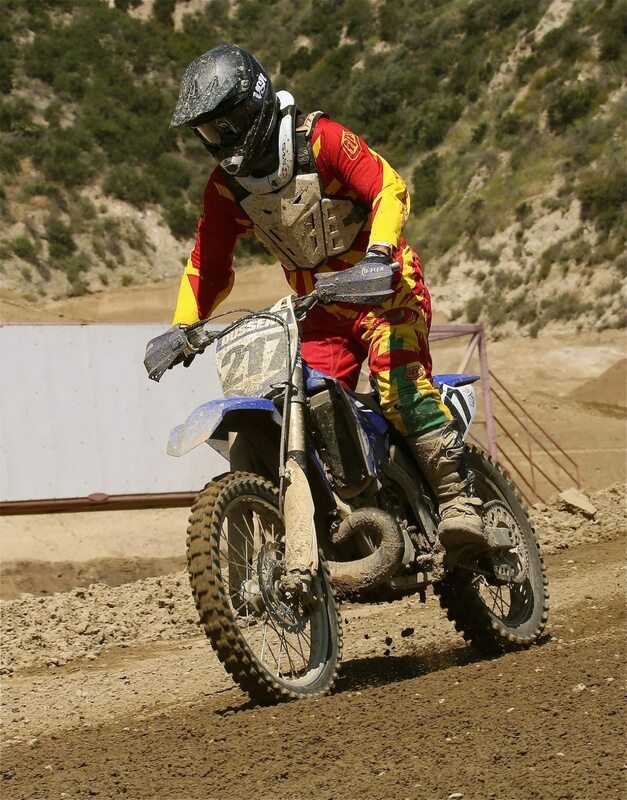 Second place went to Over-50 Intermediate second-place finisher Johnny Benskin. Third place in the Vet Novices fell to Over-50 Expert Pasha Afshar. Remember his 7-1 in that class, Pasha went 6-1 in the Vet class. 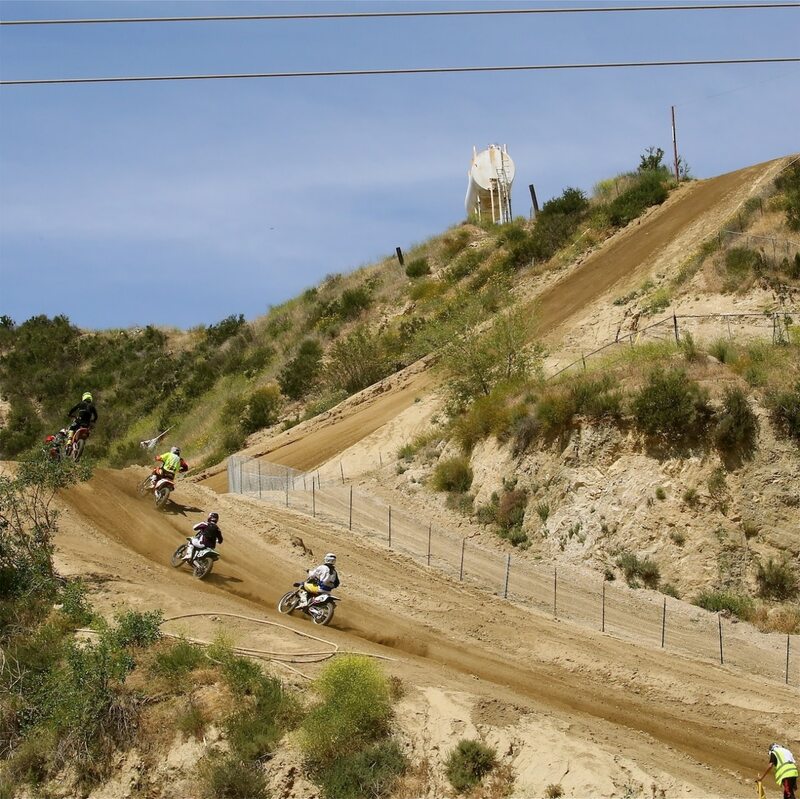 REM will return to its traditional REM track, which sits on the exact spot that Arroyo Cycle Park was on in the early 1970s, for next week’s race. 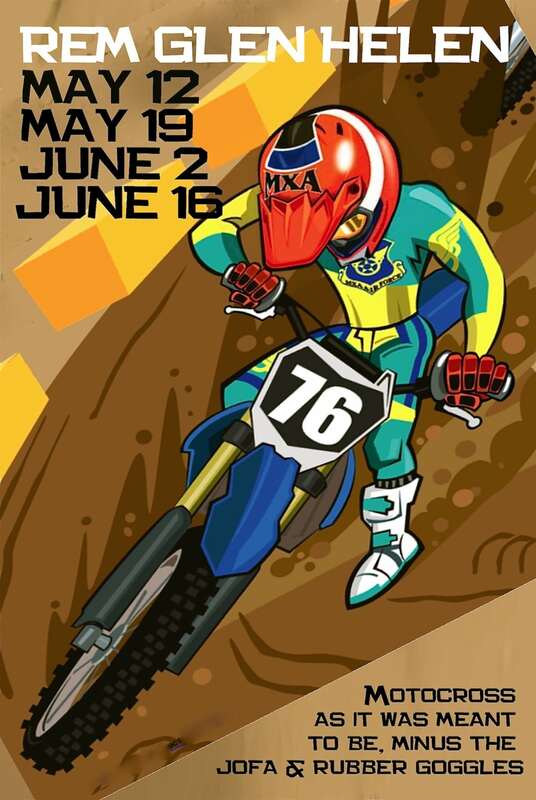 This will make a lot of REM racers happy—as the majority favor racing on the REM track instead of the National track..
DO YOU WANT TO RACE THE MTA-SPONSORED PRO TWO-STROKE CHALLENGE? 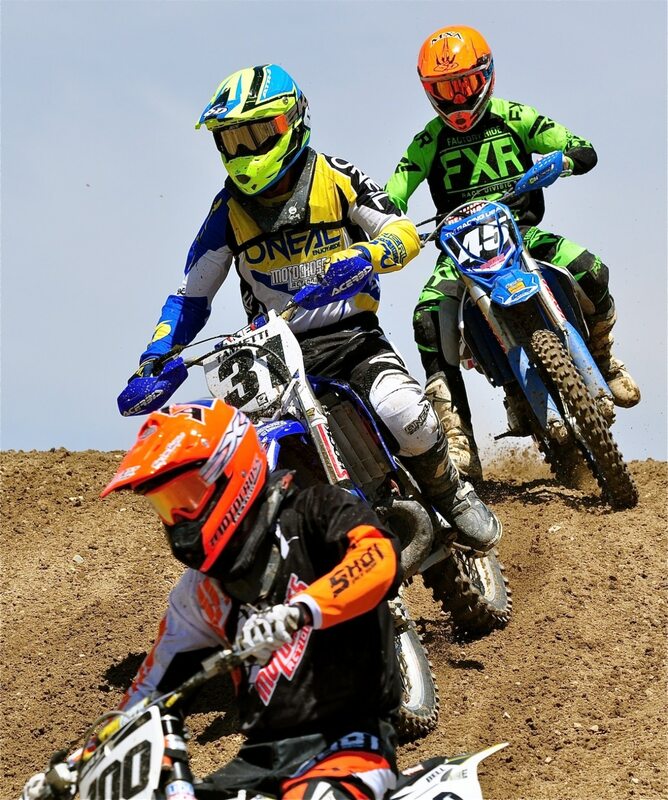 The 125 Pro and 250 Pro racers who finished the 2018 World Two-Stroke Championship in April are given priority when in comes to being accepted to the 250/Open two-stroke class at the Glen Helen National on May 26. 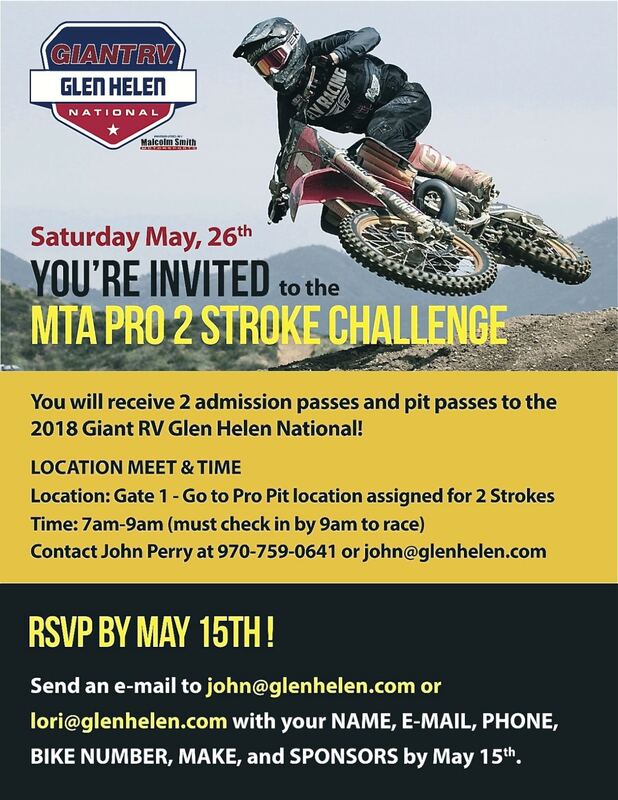 After those riders, Glen Helen is looking for Pro riders, former AMA National riders and Loretta Lynn-speed Intermediates to fill out the available spots. 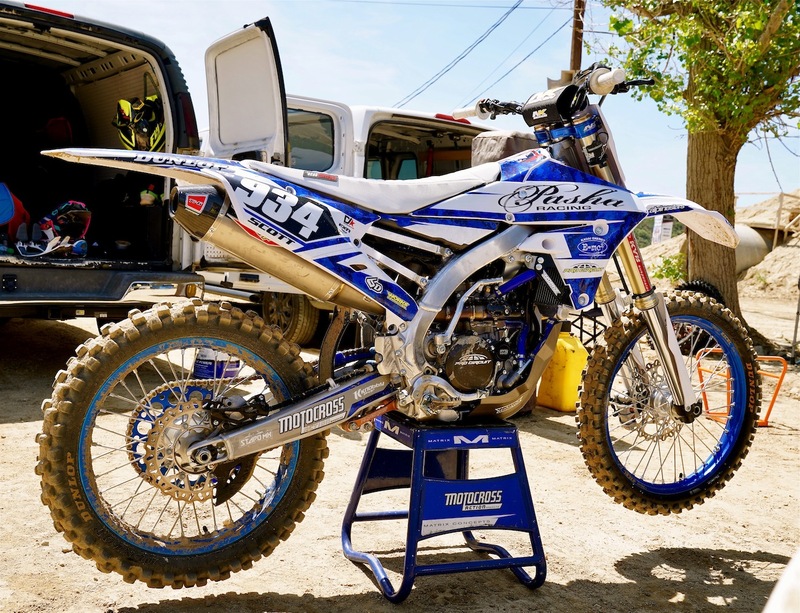 The Glen Helen race is not related to the 125cc series being conducted at other Nationals—this is the only two-stroke National class for 250cc and larger machines.